This post was meant to go up weeks ago, but better late than never I say. Last June, British publisher Hodder & Stoughton announced on its Facebook page that Anne C. Perry, co-editor of Pornokitsch, was appointed Assistant Editor and would "expand the company's activities and acquisitions in the field of SF, fantasy and horror publishing". A year later, there are two African Speculative Fiction books that will be published in 2014. Here's a look at the two future releases to look forward to. 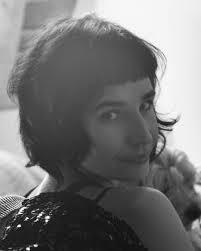 The Three by Sarah Lotz will be published February 2014. The world is stunned when four commuter planes crash within hours of each other on different continents. Facing global panic, officials are under pressure to find the causes. With terrorist attacks and environmental factors rules out, there doesn't appear to be a correlation between the crashes, except that in three of the four air disasters a child survivor is found in the wreckage. Dubbed 'The Three' by the international press, the children all exhibit disturbing behavioural problems, presumably caused by the horror they loved through and the unrelenting press attention. This attention becomes more than just intrusive when a rapture cult led by a charismatic evangelical minister insists that the survivors are three of the four harbingers of the apocalypse. The Three are forced to go into hiding, but as the children's behaviour becomes increasingly disturbing, even their guardian begin to question their miraculous survival. 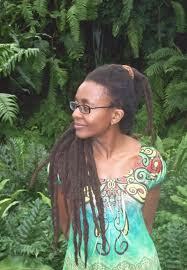 Lagoon by Nnedi Okorafor, which I mentioned back in April will be published March 2014. Three strangers, each isolated by his or her own problems: Adaora, the marine biologist. Anothony, the rapper famous throughout Africa. Agu, the troubled soldier. Wandering Bar Beach in Lagos, Nigeria's legendary mega-city, they're more alone that they've ever been before. "There was no time to flee. No time to turn. No time to shriek. And there was no pain. It was like being thrown into the stars"